Seems as if books on BI are just like buses. You wait ages for one and then two turn up together. 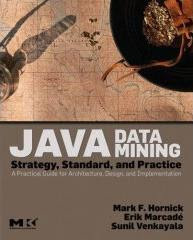 While your on Amazon ordering your copy the Oracle Data Warehousing (see the posting last week) you could also order Mark Hornick’s latest book on Java Data Mining. As you can see from the heading Mark has worked with other key data mining experts to provide a great introduction to not only java data mining but data mining in general. Both Mark and Sunil work for Oracle in the Server Technologies group and Erik is the founder and current CTO of KXEN. All the authors are well known within the data mining community. I have posted a few entries on using data mining in conjunction with multi-dimensional models so I am keen to get started with this book as quickly as possible. As a result, I added this to my list of books that were ordered over weekend from Amazon, along with the Oracle Data Warehousing book. Now I am just waiting for a huge parcel to arrive. I am sure both these books are going to contain a lot of useful information that will find its way on to these pages in one form or another. You can view the book online using the following link to Amazon.com by clicking here. 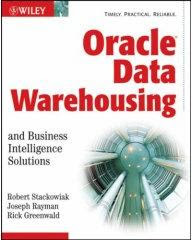 Overall there is a lot of information in this book covering all aspects of data warehousing. Some sample code is provided, via a link to a related website, to help you follow the examples included in the book. Fortunately it is possible to use the usual Amazon feature of looking inside the book online, but very strangely this feature only available on the US based Amazon.com and is not available via the Amazon UK website. However, the US website does not show a synopsis of the book, which is available on the UK site. I have already ordered my copy of the book and will post a formal review in a while. It will be interesting to see how this compares to other books on the subject. I suppose the key question is: Can you ever have enough books on data warehousing? Personally, I don't think so but as I have over 1000 cookery books I may not be the best person to ask! 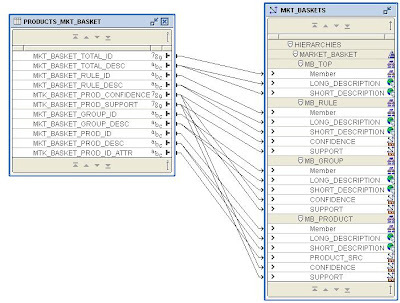 If you plan to use SQL access with an end-user query tool, that tool needs to be able to support embedded total objects. 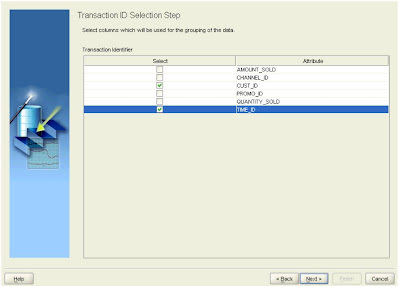 The SQL access to an OLAP cube returns all the required data points already precomputed so there is no need to issue an aggregation function (for example SUM()) with a GROUP BY command as the aggregation is managed internally within the cube itself. Using SQL Developer most DBAs can probably work around this feature by manually writing the query themselves. 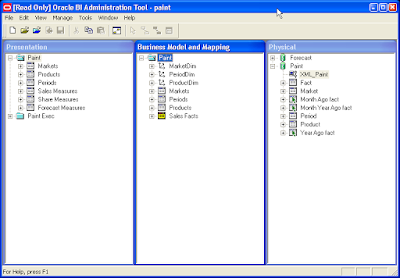 But for business users the tool is supposed to do all the work for them so it needs to be “embedded total” aware. Fortunately, BI EE can support this type of data source, so BI EE customers can combine Oracle 10g OLAP data with data from their other non-olap data sources quickly and easily. 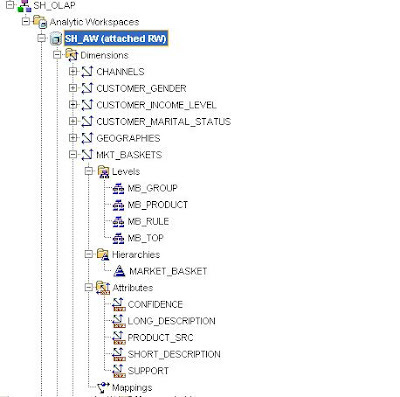 (Unfortunately, Discoverer does not at the moment support embedded total objects so integrating SQL access to OLAP into the EUL is currently not possible). 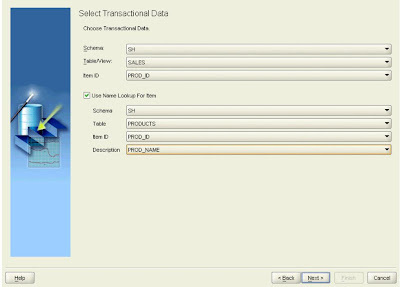 How do you SQL enable an OLAP cube? Now the view looks reasonably straightforward until you get about half through the code and notice the use of an OLAP_TABLE() function. This function returns a normal two-dimensional relational table structure from the source multi-dimensional object. 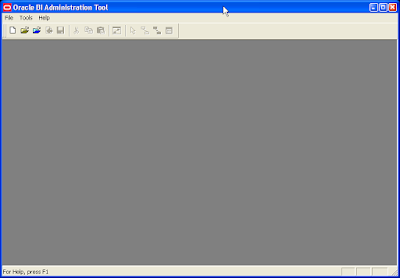 The function has a number of inputs one of which is a call to a LIMIT_MAP. 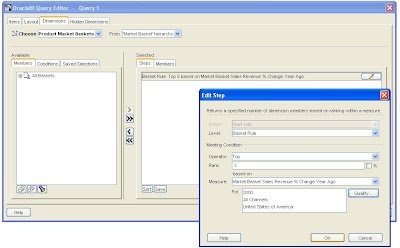 The OLAP_TABLE uses a limit map to map dimensions and measures defined in an analytic workspace to columns in a logical table. 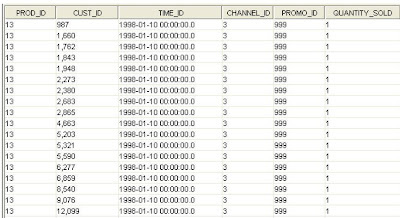 The limit map combines with the WHERE clause of a SQL SELECT statement to generate a series of OLAP DML LIMIT commands that are executed in the analytic workspace. Oracle OLAP Reference Manual 10g Release 2 provides more details on the OLAP_TABLE() function. It maps the AW objects to the columns referenced within the view. Having the limit map defined within the AW as a text variable makes it easier to modify the data that can be returned into the view by the analytic workspace. The first step of the wizard allows you to select the attributes and measures to make visible via the view. Be warned, you may have to deselect some attributes and/or measures to make this work. 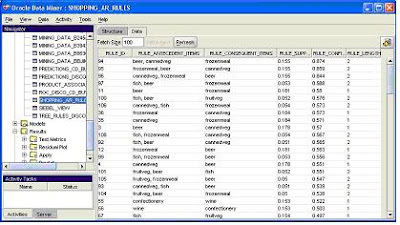 The reason being there is a SQL limit (4000 characters I think) within the process of defining a view, therefore, you may have to deselect some measures and/or attributes to successfully create the view. 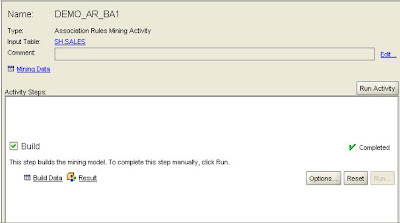 Unfortunately, no error message is displayed if things go wrong during the definition, however, when you try to select from the SQL view you may get an error message saying the LIMIT MAP does not exist. This implies you selected too many columns. 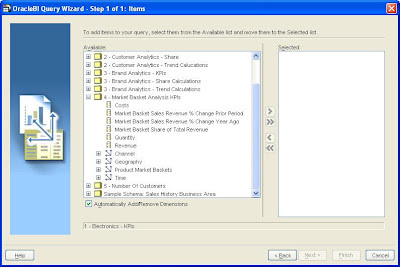 Ideally when thinking about which views to create and the contents of those views you want to try and create views that minimize the need to use joins to create a result within the reporting tool such as BI EE. Therefore, it may be necessary to do some research first to determine which measures and attributes users actually need to allow them to create their reports. In other words do not try and expose every single attribute and measure. 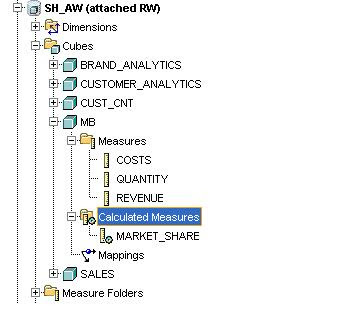 This new addin to Analytic Workspace Manager (thanks to Marty Gubar) makes it very easy for BI EE customers to include data contained within a 10g OLAP cube as part of a BI EE report. On Google and Yahoo, the BI Blog (this blog) is ranked within the top 5 hits: #3 on Google, #4 on Yahoo. On Microsoft Live Search it comes up at #6. And for the first time since I started the blog in 2005, it's been getting 1000+ hits every weekday for two weeks now. For some reason people don't like to surf the BI Blog as much on weekends. Hmm, that certainly is inexplicable. What can be more exciting to do on a weekend? The flip side is that my personal blog has not seen a new post in three weeks. Separately, Mark is also writing a book on Oracle BI (no, I am not involved with this book; but was, in a very, very small way :-), officially titled "Oracle Business Intelligence Suite Developers Guide". And there is a placeholder page for the book on Amazon.com. You can track Mark's progress using this label page. This from the OTN blog post by Justin Kestelyn: "official Oracle Documentation is being indexed by Google as we speak." Also, there is an Oracle DBA Toolbar for IE available. Finally, check the OTN Semantic Web at http://otnsemanticweb.oracle.com/, that was announced last month on the OTN blog here. The Admin Tool will be familiar to those who had used it under its earlier avtaar under Siebel Business Analytics. As far as look and feel goes, this is perhaps the one product that has changed the least. Mind you, there are lots and lots of great new features in this tool - "Data Mart Automation" being probably the single biggest one (or "Aggregate Persistence" as it is more commonly known as). For me this is possibly the single biggest change in the default post-install experience of the Admin Tool - the demo repository that is contained in the installation is entirely self-contained and self-sufficient. You do not need to rewrite any of your UI screens, or change any configuration parameters, or anything - only one change is required: that of configuring the connection to point it to an XML data source. 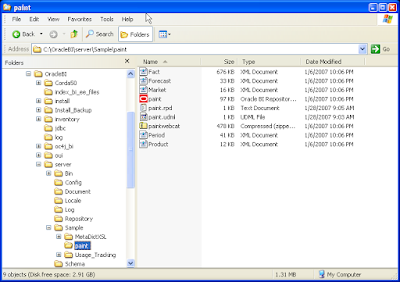 The XML source files are located under the [Oracle BI folder]\Server\Sample\paint folder. 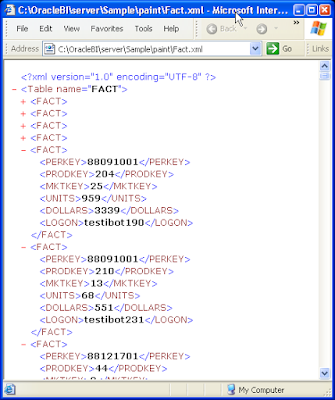 You can open the "Fact.xml" file to see its contents. In a relational database each 'Fact' rowset would be one row in 'Fact' table. The Discoverer Product Management team have compiled an excellent new document covering best practices for Discoverer Plus for OLAP. This will help users create workbooks and worksheets that are easy to maintain and correctly tuned to ensure good performance. As with all best practice documents this will be an going piece of work. If you have any additional hints and tips then please send them to us for inclusion in future versions of this document. One of the several hundred new features in the latest release of BI EE is the ability to subscribe to RSS feeds of alerts and catalog folders, which is a really nice way of bringing the world of analytics to the user. In this post I look at subscribing to RSS feeds for catalog folders. From your Dashboards Editor page, add a "Folder" dashboard object - and click the "Properties" button. From the "Folder Properties" popup, click the "Browse" button, and select the folder or sub-folder and select it. Then, and obviously enough, check the box that says "Show RSS Link". Save your changes. On the dashboard page, in addition to seeing your folder contents, you now also see the orange "XML" icon that now almost universally stands for an RSS feed. Right click this icon and copy the link's location. Having copied the URL of the RSS feed (the orange icon thingy), the next step to do is to add this feed URL to an RSS feedreader. Thunderbird is as good a reader as any, so let's use it for our example. In the RSS subscriptions window, click the "Add" button, and paste the BI RSS feed link that you copied above (the orange thingammy) and click 'OK'. You most likely shall be prompted for a user name and password, so please do the needful - enter the correct password (the truth shall set you free... free to read the RSS feeds, i.e.). Having done that, Thunderbird updates the feed. Back in your Thunderbird main window, you can see that my feed shows some six feeds, five of which are unread. Click on any of the feed links to see the BI report displayed right there. Pretty darn nice I should say... Needless to say I shall be using this to keep track of my feature area's bug reports (a BI EE dashboard and reports built on top of our internal bug tracking system). A word about privileges and all that - as you would expect, you can specify whether someone, everyone, or no one has access to RSS feeds. To do that, you have to go into the "Administration" page (from the "Settings >> Administration" link). From there, find the line that says "Manage Privileges", click it, and then from the resulting page, click the link that says "RSS Feeds". There you can add or remove users or groups that have access to RSS feeds. The default option at the time of installation is "Everyone". Continuing on my earlier post on the integration between BI Publisher and BI EE (BI Publisher and BI EE Suite Integration - 1), this post looks at how you can add BI Publisher content to your BI Dashboard. Oracle BI Publisher reduces the high costs associated with the development, customization and maintenance of business documents; while increasing the efficiency of reports management. Utilizing a set of familiar desktop tools users can create and maintain their own report formats based on data extracts from diverse sources. BI Publisher is built on open standard technologies. It is a J2EE application that can be deployed to any J2EE container. If you see the screenshot below, I have a Dashboard page in edit mode, with two columns. The right column already contains a dashboard prompt, and a couple of Answers reports. On the left column I want to add some BI Publisher content, which I have created and have available. This could be anything: from pixel perfect reports, to invoices, to standard reports, or just about anything else I may want to create using BI Publisher. There is a new Dashboard object that has been added in BI 10.1.3, a "BI Publisher Report". This is what I shall use to add BI Publisher content to my Dashboards page. Select and drag this "BI Publisher Report" object and drop it into the "Section 1" placeholder. 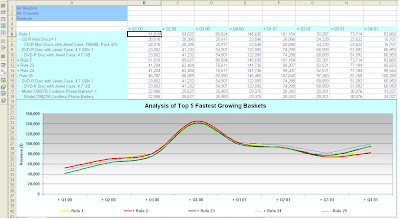 For my purposes, I navigate to the "Shared Folders >> Business Intelligence" folder and select the "Paint Demo" report. Click 'OK' and click the 'Save' button on the Dashboard page. See below that the Dashboard page has updated with the BI Publisher report. I have two formats available for this report - PDF and RTF. Mind you, I could have specified HTML and other supported formats also, but for this report I have these two formats specified. Since BI Publisher also allows me to associate multiple 'templates' or layouts to a single report, I can even select from these available templates, right here in my Dashboard page. In this case I have a second template, "Revenue Grouped by Year, Region" also available, in case the charts are not what I want to look at. And there you have it - a nicely formatted report, with all the correct headers, footers, page breaks, etc... The world of adhoc analytics meets the world of pixel perfect reporting. This is the Oracle Interactive Dashboards page that is available by default (based on the default cataog and repositories available). 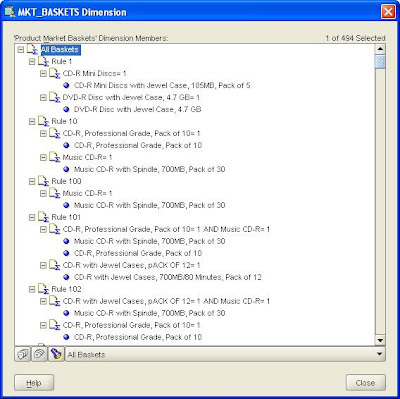 If you click the "More Products" link, it drops down a list of additional products available to you - this list is dependent on the products you select during the installation. In the Siebel Business Analytics days, this list was actually governed by the license XML file you had. In Oracle you can download and install all the products you want - use them under a developer's license to evaluate them, and pay for them if you intend using them otherwise. If you chose to install BI Publisher, then this product will be listed as an option in the dropdown. Click the link. You are taken to the Oracle BI Publisher Enterprise home page. Note that you do not have to re-login. You can create new report by clicking the "Create a new report" and typing in the name of the report. The report is created under the current folder. You could always go and create a BI Publisher report against any supported data source, and that now includes RSS feeds also (have to check if that's been available before 10.1.3.2 also...). But in this case I shall create a report that goes against the BI Answers presentation layer. Note below that there is a new "Data Source" available, named "Oracle BI EE". That is the data source I shall use. Click the "Query Builder" button and it takes you to BI Publisher's "Online Query Builder". From the top right hand drop down I can select from either of the two subject areas available to me: "Paint" or "Paint Exec". The list of (logical) folders is based on the schema I select, in this case "Paint". I can drag and drop any folder to the 'canvas', and check/uncheck the fields that I want included in my report. Note that I do not have to specify any joins here, as the BI Analytic Server shall take care of resolving any joins. Click on the "Results" link, and the results of the query are fetched. 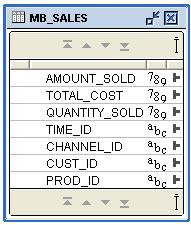 Click the "Save" button and you see the "SQL Query" field updated with the sql for the report. At this point, you can upload a template if you have one available, or use the "Oracle BI Publisher Template Builder for Word" to create a (or more than one) template and associate it with the report. That is a topic for another post, another day. Also, there is the other side of this integration, which is the fact that you can publish BI Publisher reports to Interactive Dashboards. That also, I shall post soon. To take a peek at how this integration has been done, click the "Admin" tab. On the Admin page, at the bottom you shall see a section named "Integration". "Oracle BI Presentation Services" is the link that you use to configure BI Publisher to integrate with Oracle BI Presentation Services. The page shows you all the details - if you install Oracle BI EE using the complete install option, these values are filled in by the installer. Else you can always go back and add/change them.